Questions to ask, Fees, Preparing for appointment. Bankruptcy lawyers help individuals that intend to file for bankruptcy navigate the legal system by selecting an appropriate bankruptcy option, obtain appropriate credit counseling and emerge from bankruptcy after a repayment plan has been fulfilled. What are bankruptcy options for individuals? There are two primary forms of bankruptcy, Chapter 7 and Chapter 13. In Chapter 7 bankrupt, all of the debtor’s assets may be liquidated in order to repay creditors. Repayment is at the discretion of the trustee and the debtor has little say in the matter. Chapter 13 is for individuals with a steady stream of income that can be used to repay the debts as part of a repayment plan. The individual’s assets are not taken and the debtor typically has five years to repay the debts. Predictably, bankruptcy severely impacts one’s credit report and remains on the report for ten years. You must collect all bills as well as well as assets and be prepared to show them to the attorney. You will need tax returns for the previous two years, and any other relevant personal finance documents. The attorney needs all of this information to determine your situation and the appropriate bankruptcy option. What happens between meeting the lawyer and filing the case? As bankruptcy is meant to be a “last resort” for people in debt, federal law mandated that anyone seeking bankruptcy receive credit counseling after their filing. The intent here is to avoid bankruptcy by working out a payment plan. The case can only proceed after all other personal finance options have been exhausted. Instead of searching online or in the Yellow Pages, the best practice is to consult a State Bar directory. This will give you the best range of choices and you are almost guaranteed that members of the State Bar adhere to ethics codes and are up-to-date on legal matters concerning their specialty. The US bankruptcy code is a complex federal document subject to state interpretations and as such, not every lawyer will take these cases. Some specialized bankruptcy lawyers are available to handle the needs of individuals and businesses that choose to file for bankruptcy. A specialized lawyer will be able to guide you to the most appropriate avenue such as Chapter 7 or 13 for individuals or Chapter 11 for businesses. Not all bankruptcies involve the immediate liquidation of assets for the creditors. As bankruptcy law is complicated and very specialized, one should look for a lawyer with a proven record of guiding clients through bankruptcy filings. Check the lawyer’s credentials to make sure they come from an accredited law school and that the lawyer is a member of the state bar association. Advertising and name recognition are not always hallmarks of good lawyers and should never be used when evaluating the merits of hiring an attorney. Bankruptcy attorneys and firms frequently advertise on television but you usually have little to no means of assessing the quality of service of their track record with other clients. Bankruptcy filing can be a very draining and for some, humiliating experience so a good bankruptcy lawyer is not only knowledgeable, but also empathetic. Communication is also key to maintaining a solid client-retainer relationship. If an attorney makes it difficult to talk or meet with him, you may want to reconsider your decision as a lack of communication may jeopardize your chances of complying with court orders and federal law. For most jurisdictions, lawyers must pass ethics examinations and abide by an ethics code set by the bar association. Still, you must be vigilant when dealing with some lawyers that lack a solid record of integrity and ensure that your dealings with them are fair and transparent. Be aware of unreasonable fees, illegal activity or coercion on the part of the attorney. Bar associations maintain dispute resolution and grievance services for clients that have issues with their bankruptcy attorney. There are various fees that are accrued when consulting and retaining a lawyer. It is important to be aware of these fees. Unlike civil litigation, there are no awards or settlements, so contingency fees do not apply during these circumstances. You should be able to get all fees in writing from a reputable attorney. Hourly rates may be accrued from using the lawyer or support staff such as paralegals. It is especially important to be aware of those fees. A retainer fee is a non-refundable advance payment by the client that covers the cost of services provided by the lawyer. A referral fee can be charged by some attorneys that do not take bankruptcy cases but do know another attorney at another firm with that specialty. This does not increase the fees that the client must pay, but is merely an agreement between two attorneys to share the award. The State Bar usually requires the approval and disclosure of this agreement to the client. An attorney that has been referred has the best incentive to win the case and indeed some of the best lawyers only accept referrals. Free services may be available to low-income families as well as no-cost consultations. A business bankruptcy lawyer specializes in managing debts and preserving assets for small businesses. Businesses typically file for Chapter 11 bankruptcy that allows for reorganization under bankruptcy law. Chapter 11 bankruptcy allows for the business to remain in operation, in accordance with a Chapter 11 plan agreed upon with the creditors. A business bankruptcy lawyer can help a business file for chapter 11 Bankruptcy and avoid liquidation of assets. The business bankruptcy lawyer can also work with creditors to determine a Chapter 11 plan. Without a business bankruptcy plan, debtors can easily lose control of their business to creditors and may have their assets liquidated under a Chapter 7 filing. Business bankruptcy lawyers can also serve as a client’s advocate during involuntary bankruptcy proceedings. Even in involuntary bankruptcy, the debtor is usually allowed to decide which bankruptcy chapter they wish to file under, each with differing procedures and rules. Business bankruptcy lawyers are useful during the process to help the debtor pick the best option and if possible emerge from bankruptcy with most if not all assets intact. Business bankruptcy lawyers that help a company file for Chapter 11 provide an invaluable service as that business now has a stay on all of its debts and will have the time necessary to reorganize, regain profitability and correct mismanagement. Businesses in severe financial trouble should consider the services of a business bankruptcy lawyer so that they may regain profitability and avoid involuntary bankruptcy at the hands of creditors. Personal bankruptcy lawyers are necessary when an individual is unable to resolve debt issues through other means, including credit counseling. A personal bankruptcy lawyer can help you analyze your situation and recommend the best bankruptcy option, be it Chapter 7 or Chapter 13. More often, Chapter 7, or the court ordered liquidation of assets, would be the fate of many debtors. Personal bankruptcy lawyers, however, are able to provide you with adequate advice, which may open your options to a Chapter 13 filing. Under Chapter 13, the personal bankruptcy lawyer secures your assets and works with the bankruptcy court to develop a debt repayment plan to pay off debtors gradually. Chapter 13 is supervised by the courts and a personal bankruptcy lawyer can help you with this filing, usually for a flat fee. Personal bankruptcy lawyers will need to prove that the client has the income necessary to abide by a court approved repayment plan. Under personal bankruptcy, an individual cannot receive any more credit and the bankruptcy remains on the individual’s record for ten years. A personal bankruptcy lawyer should be able to explain the consequences of bankruptcy to the debtor and encourage the debtor to enter credit counseling before undertaking a drastic solution. An individual already in debt will understandably look for a cheap bankruptcy lawyer option. With considerations for the financial straits of their potential clients, cheap bankruptcy lawyers offer low cost flat fees to prepare paperwork and other service needed to file for bankruptcy. A cheap bankruptcy lawyer will also unbundle certain services, such as document preparation so that clients that are strapped for cash can only pay for the services they need. Even with flat fees offered by cheap bankruptcy lawyers, an individual filing for bankruptcy is advised to have a lawyer, at least until a debt repayment plan or decision on the liquidation of assets has been reached. Bankruptcy filings tend to pit a debtor against creditors, necessitating a cheap bankruptcy lawyer to serve as the client’s advocate. Without the aid of at least cheap bankruptcy lawyers, an individual increases their chances of an unfavorable outcome that leads to the bankruptcy happening on the terms of the courts and creditors, with little to no input of the part of the debtor. When seeking a cheap bankruptcy lawyer, one should be aware of all the fees and arrangements that the service will entail. There are several services that appear cheap at first but only to have the costs mount over time. For instance, a cheap bankruptcy lawyer might ask for a comparatively low retainer, only to burn through the retainer quickly, assessing more costs on the needy client. Cheap legal services are subject to a high level of exploitation and deception, so one must take adequate care when retaining the services of cheap bankruptcy lawyers. It is entirely possible, although not recommended, to pursue bankruptcy without a lawyer. Those pursuing bankruptcy without a lawyer will be responsible for filling out and filing all of the required documents necessary for the appropriate chapter of bankruptcy as well as complying with the rulings of the bankruptcy court. Bankruptcy without a lawyer may be an attractive option for those in serious financial trouble who can only afford the relevant court and filing fees. Having the services of a bankruptcy is still a preferable option in that an expert will handle the bankruptcy case, will explore all possible options to have you keep your assets and will make compliance with court orders easier. The lawyer will also deal the creditors, within reason, and work to have you emerge from debt through compliance with debt repayment plans. Even if an individual intends to file for bankruptcy without a lawyer, it would be in his or her best interests to consult with a low for a case evaluation, to better understand the chance the bankruptcy case will have in court and the possible bankruptcy chapters that the individuals will be eligible for. Although there are some pro bono bankruptcy lawyers, they tend to be hard to find. As bankruptcy is a personal finance issue, there is not a pressing need for pro bono service in this field. Due to this, in the event that pro bono bankruptcy lawyers make their services available, one must make a compelling case, demonstrating dire financial need to receive free legal service. Free bankruptcy lawyers do pro bono work as a service to the community, so pro bono work will only be offered at limited times of the year and on a limited basis. Some community organizations may offer pro bono bankruptcy lawyers and other legal services for those in need, but as expected, these individuals must demonstrate that they lack the finances to afford even a cheap bankruptcy lawyer. Always view free bankruptcy lawyers, especially services that solicit customers with suspicion, as these services are not always free, could be a scam and may be exploitive in the long run. Also, be aware of other debt repayment schemes that target individuals looking for free bankruptcy lawyers as these organizations may offer plans with high, adjustable interest rates and exorbitant fees. It may be important for some individuals to work with local bankruptcy lawyers. There are some advantages to working with local bankruptcy lawyers as they will have a good knowledge of specific laws regarding bankruptcy in the jurisdiction and may have preexisting relationships with other bankruptcy lawyers and individuals involved in the bankruptcy resolution process. This will differ from the impersonal multi-state mega bankruptcy firms that robotically deal with bankruptcy claims, doing the bare minimum needed by the client and collecting an easy legal fee. Local bankruptcy lawyers will typically give more attention to your case and will be easier to communicate with in the event of complications or questions about legal services. The State Bar Association will be a useful tool in finding a local bankruptcy lawyer as these organizations tend to maintain member directories, in addition to lawyer referral services. The proximity of Queens to a major metropolitan area is an advantage when looking for a Queens bankruptcy lawyer. In addition to a number of Queens bankruptcy lawyers based in the borough, residents also have the benefit of a number of bankruptcy lawyers located in Manhattan and Brooklyn. As bankruptcy laws are subject to change, a local Queens bankruptcy lawyer will be able to keep you abreast regarding developments that define exempt property, qualifications for personal and business bankruptcy and other relevant legislation. For instance, new legislation in early 2011 added expanded the definition of exempt property to a certain amount of equity on a home and car, $5,000 in a bank account and certain personal property items. A Queens bankruptcy lawyer will help you determine exempt property while guiding you through the bankruptcy proceedings in New York Bankruptcy Court. Bankruptcy lawyer fees	vary depending on the arrangements you make with your lawyer. For cash strapped individuals, bankruptcy lawyer fees may consist merely of flat fees to prepare and file documents with the local bankruptcy court. For more complicated and contentious bankruptcy proceedings, bankruptcy lawyer fees may include retainer and hourly fees for the use of the lawyer’s time. When bankruptcy lawyer fees include retainer fees, the retainer may need to be refreshed periodically, at the discretion of the lawyer, unless a prior arrangement limits the size of the retainer. Be aware that bankruptcy lawyer fees may also include fees for the use of other law office services, such as the services of paralegals and document preparation fees. Be sure to discuss the bankruptcy lawyer fees	before agreeing to use the services of the bankruptcy lawyer. Those faced with bankruptcy are often left wondering how to find a bankruptcy lawyers. Lawyer referral services and lawyer directories are the best and most typical means how to find a bankruptcy lawyer. Other attorneys that do not deal with bankruptcy can furnish you with a referral to a relevant legal professional as well as advise you on how to find a bankruptcy lawyer. For those with no familiarity with the legal whatsoever, nonprofit community organizations can also advise you on how to find a bankruptcy lawyer that can take your case as well as explain the more difficult points of bankruptcy law. Those looking for a twin cities bankruptcy lawyer have a number of options to being their search for a suitable attorney. The Minnesota State Bar Association should be your first resource to find a twin cities bankruptcy lawyer. Although membership is voluntary, the best twin cities bankruptcy lawyers will be listed there as active members that are the most up to date on Minnesota law regarding bankruptcy. Additionally, a twin cities bankruptcy lawyer that is a member of this organization will adhere to a strict professional and ethics code. The Minnesota Bar also maintains a lawyer referral service that you may use to find a twin cities bankruptcy lawyer. Be aware of the fees for using this service and always take advantage of free consultations when available for twin cities bankruptcy lawyers. The process to find a bankruptcy can be difficult and subject to significant time restraints due to pressure from creditors. During this time, it can be tempting to look for a free bankruptcy lawyer to minimize the costs and prevent the accrual of further debts. Of course, to the high demand for yet rarity of free bankruptcy lawyers mean that is better to find a bankruptcy lawyer that offers low cost services. Low cost legal services are much more common that a free bankruptcy lawyer but will give you essential services in the time it would normally take to find a bankruptcy lawyer that is affordable. Low cost legal services will include simple document preparation to file for bankruptcy or case evaluations to determine which Chapter of bankruptcy for which you are eligible. Be aware that if the bankruptcy case proceeds in court, you may still need to find a bankruptcy lawyer to deal with creditors that will demand repayment and priority on the individual’s earnings. A free bankruptcy lawyer services may not extend this far which adds to the need to find a bankruptcy lawyer that will be able to manage your case from beginning to end. Commercial bankruptcy lawyers	specialize in helping business choose to file for Chapter 7 or Chapter 11 bankruptcy. Generally, businesses will opt to continue running under a Chapter 11 bankruptcy agreement and commercial bankruptcy lawyers	can help to facilitate this arrangement while working with creditors demanding repayment. Commercial bankruptcy lawyers	can also help businesses liquidate their assets under Chapter 7 to repay debts. This would happen in situations where the creditors would likely gain control of the business due to debts exceeding assets or a deeply flawed business model that cannot be remedied through debt reorganization. Commercial bankruptcy lawyers	will charge for, among other services, for document preparation and court filing fees. Businesses may also opt to place commercial bankruptcy lawyers on retainer in case the bankruptcy proceedings continue for some time and the attorney’s services will be needed to ensure compliance with court orders. Commercial bankruptcy lawyers will also work to prioritize creditor claims, adjusting repayment priorities as necessary. For businesses in bankruptcies, commercial bankruptcy lawyers are invaluable for remaining in business and increasing the breathing room necessary for the business to possibly reemerge from bankruptcy. American law dealing with bankruptcy is complicated and will require a knowledgeable bankruptcy attorney to navigate the complicated process. There are some Chapters of bankruptcy law that are limited, such as Chapter 9 bankruptcy for municipalities and Chapter 12 bankruptcy for family farmers and fisherman. Lawyers for bankruptcy generally need not be family with this aspect of bankruptcy law. Businesses however, are best served by a commercial lawyer for bankruptcy, which can guide them through Chapter 11 bankruptcy, which allows for reorganization with the preservation of assets, a preferred outcome for businesses. A bankruptcy lawyer attorney in this field will work with creditors and design a court approved repayment plan that prioritizes secured creditors. Not all businesses will be able to manage Chapter 11 bankruptcy and heavily indebted or flawed businesses can opt for Chapter 7 bankruptcy. This will allow for the liquidation of assets with the supervision of a bankruptcy attorney lawyer to repay creditors. This is also a personal finance option, though typically not preferable for individuals. Individuals that go bankrupt will want their lawyer to pursue Chapter 13 bankruptcy, which is similar to Chapter 11 bankruptcy as it allows the debtor to reorganize his or her debts into a debt repayment plan that preserves his or her assets. The debt repayment plan typically lasts for 3 – 5 years and can shift down to Chapter 7 bankruptcy so failure to comply with the repayment plan. Those that go bankrupt, either voluntarily or involuntarily will want to find a bankruptcy lawyer, even if they are strapped for cash. A bankrupt lawyer attorney can help the client figure out the best Chapter to file under and act as an advocate when dealing with creditors in the bankruptcy court. For those unfamiliar with the law, this is an invaluable service that provides the best possible outcome. Pro bono and low cost services are provided by various law firms, Bar Associations and community organizations. Pro bono services are understandably limited, both in scope and availability, which means those individuals should seek low cost, unbundled services from bankruptcy attorneys that can help with paperwork and bankruptcy filings. A lawyer for bankruptcy will frequently work with clients to find an affordable solution that will have minimal impact on the client’s finances, taking in consideration the financial health of the client in the face of bankruptcy. 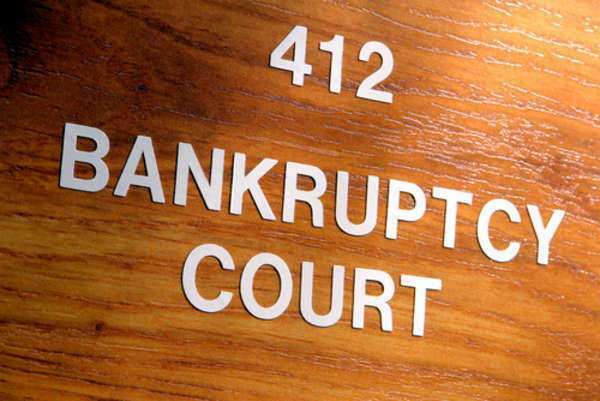 A bankruptcy lawyer is one who can help someone file bankruptcy. In most cases, bankruptcy lawyers will help individuals file either a Chapter 7 or a Chapter 13 bankruptcy. In other cases, a bankruptcy lawyer will help a company file for bankruptcy protection such as a Chapter 11. Bankruptcy lawyers practice law in a federal level in bankruptcy court. Those who are looking for bankruptcy protection through the court system will have to hire a bankruptcy lawyer who can help them. Most bankruptcy lawyers will be able to help clients file all types of bankruptcy. In some cases, a bankruptcy lawyer is one who will work with those who are in the process of filing bankruptcy because they want to consolidate their debt as in the case of a Chapter 13 or eliminate their debt, as is the case of a Chapter 7 bankruptcy. A bankruptcy lawyer will take a look at the individual case and decide which option is best. Bankruptcy lawyers are paid by the party who files the bankruptcy. Bankruptcy lawyers generally charge more to file a Chapter 7 than a Chapter 13 because of the new laws in bankruptcy that every bankruptcy lawyer should know. Those who are in debt that they cannot get out of should hire a bankruptcy lawyer to help them seek financial protection. Once someone hires bankruptcy lawyers to represent them, creditors cannot contact them and will be referred to the lawyer with any questions as to proceedings in the bankruptcy case.